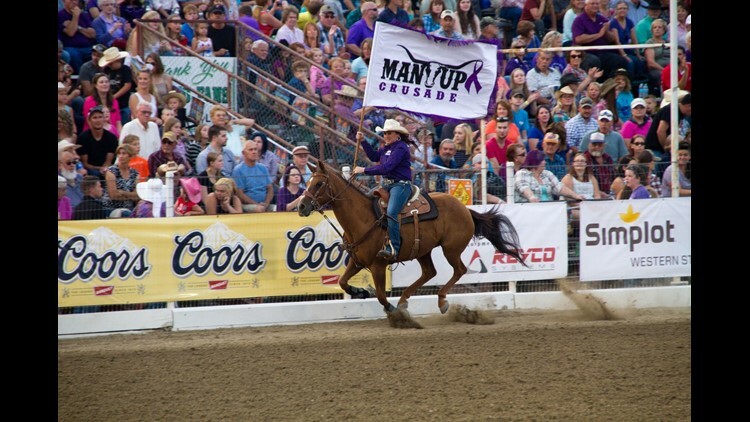 CALDWELL - Wear your purple and take a stand against domestic violence at “Man Up Crusade” Family Night at the Caldwell Night Rodeo on Wednesday, August 15. All rodeo participants, fans and support personnel are encouraged to wear purple to show their support for this great cause. The Man Up Crusade’s mission is to reduce domestic violence in society and contribute to social change by promoting safe and healthy relationships through education, advocacy and funding community services and programs that share in the mission. On Man Up Crusade Night, kids under 12 are free with a paid adult admission.